Different teas carry with them different memories for me. Mandarin Orange Spice by Celestial Seasonings instantly brings me back to my childhood and drinking tea at the dining room table with my mom, who’s a big tea drinker. She has a dedicated tea drawer that is always stocked. The smell of certain rooibos and chai teas make me think of her, as those are her favorites. A nice English breakfast tea transports me to crisp summer mornings in London with my family when we traveled there for a few days back in 2012. Yogi’s Throat Comfort tea reminds me of college days when I was sick and would’ve rather been sleeping but had to go to class – specific, I know! 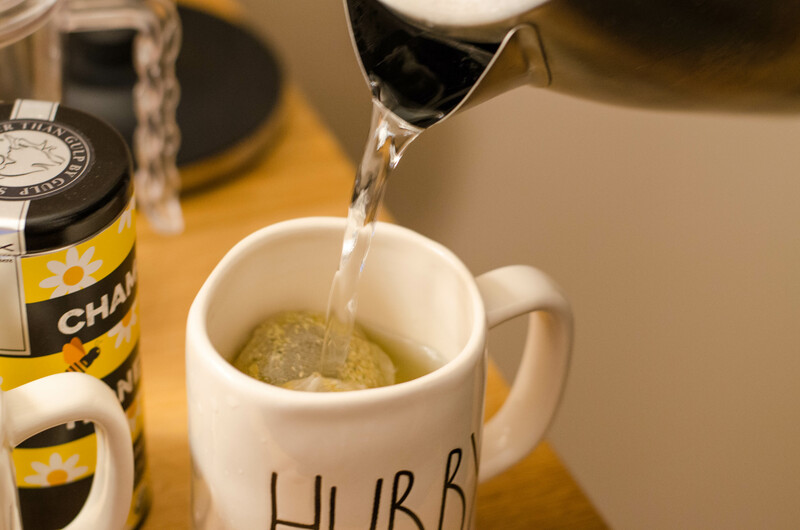 This herbal tea is sweet, fruity, and a little spicy, and is so tasty on its own that it doesn’t even need a touch of honey for me to be able to gulp down the whole mug. It’s citrus-y, like the name suggests, and is one of the teas that brings back the most memories for me. Every time I drink it I’m surprised by the amount of flavor this herbal tea delivers. Yogi’s Bedtime Tea is my go-to nighttime tea if I’m having trouble relaxing, or just want a little comfort and chill time before bed. It’s light and delicate and soothing. It’s got chamomile, mint, licorice (which I don’t usually like! ), and all kinds of good ingredients to help you relax and get yourself ready for a restful night of sleep. I do feel like I sleep more soundly if I drink this while winding down before bed! I love all things peppermint and mint and spearmint. Gum, ice cream, essential oils, body wash, and of course, tea. I’ve tried a lot of different brands of peppermint tea, but the Traditional Medicinals Organic Peppermint Tea blows all others out of the water. It’s strong, but so easy to drink, and is so soothing. It doesn’t need anything added to it, but is excellent with a little honey if you’re feeling under the weather or wake up with a scratchy throat. It’s the kind of tea that I can drink at any time of the day. I love that it’s literally just peppermint leaves and nothing else – the pure taste really comes through. I’m actually craving a big mug of this as I type this! This delicate white tea is great for a quick cup of tea, since it takes 30-60 seconds to steep. And honest to goodness, it tastes like peach rings. Seriously. Antioxidants and something that tastes like candy without all the junk? Yes to the please. It’s fantastic over ice as well! Chamomile honey tea, of any brand, is my husband’s favorite type of tea, and Republic of Tea’s Chamomile Honey Tea is my favorite of the ones we’ve tried! It tastes like you just stirred a heaping spoonful of sweet honey into your cup of tea, and has is comforting, caffeine-free, and perfect for a relaxed evening of reading. This is another great mint tea, but isn’t just pure mint – the three ingredients to this tea are spearmint, peppermint, and lemon balm. I love all things lemon, but if you’re not a giant fan like me, don’t worry, the lemon isn’t overpowering, but adds a nice crispness to the tea. I have a lot of feelings about “detox teas” that you see being touted by internet celebs, but don’t worry, this is NOT THE SAME THING. It claims that the herbal blend helps stimulate the liver to help your body do its cleansing thing, but I mostly drink it because I love the flavor! If it helps me feel less bloated after drinking it regularly, then that can be only a good thing, right? It’s a rooibos based tea, so it’s caffeine free. Some of the other ingredients include dandelion root, milk thistle, burdock, sarsparilla, and it’s got vanilla and almond flavors to balance it out. It has a really unique flavor that I had never tasted before in a tea. It’s a nice tea to drink after dinner or lunch! Ah, Paris, my love. Really though, I love this tea. Right after I first tried it, I brought it into work (I work at a coffee bar) and gave tea bags of it to all of my coworkers to try because I was talking about it so much! Where do I even start? I love a good black tea, but on its own it can be bitter, so I tend to drown it with milk & sugar. When I found this tea, I reluctantly tried it without adding anything first, and was amazed. It was slightly fruity, sweet, and delicate – which is not what I expect from black tea! (of course, I haven’t explored many different types of black tea – yet) It’s got light flavors of vanilla and caramel, with a Bergamot oil added to give it a little more fruitiness. 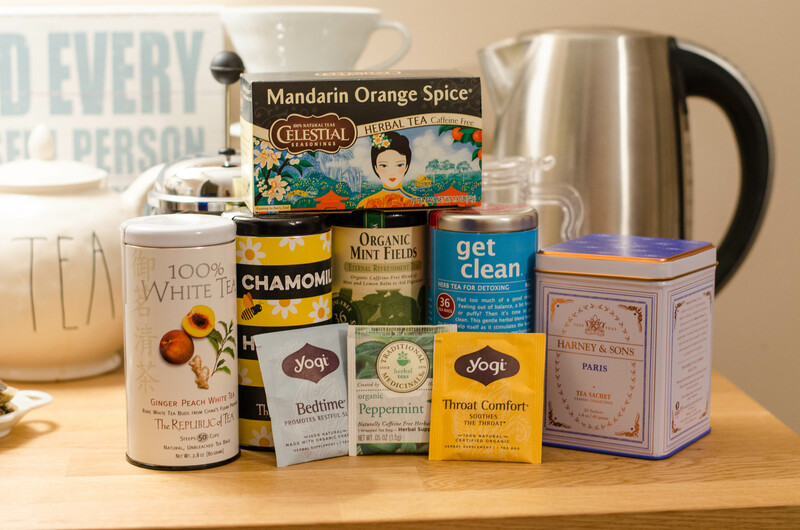 Unlike most of the other teas on this list, this one has caffeine, but it’s a great tea to wake up with, and definitely doesn’t need anything added to it. I’m looking forward to making a cup of this tomorrow morning before work! 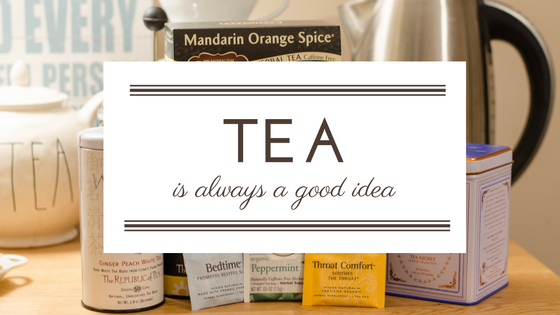 If you’re a tea person, what are your favorite teas? Have you tried any of the teas that I listed? Let me know in the comments!